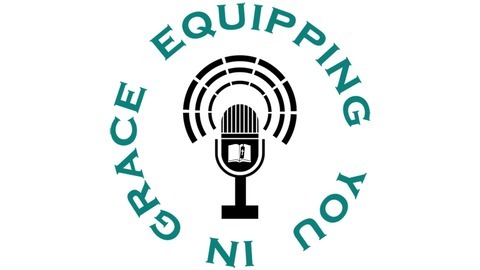 Equipping You in Grace is a podcast exploring a biblical Life view in conversational tone. On today’s Equipping You in Grace show, Dave and Jonathan Holmes discuss the biblical basics of counseling, the spiritual disciplines of the counselor and married couples, along with his book, Counsel for Couples: A Biblical and Practical Guide for Marriage Counseling (Zondervan, 2019). The biblical basics of marriage counseling. Some principles that guide how pastors and biblical counselors should handle challenging situations in marriage counseling. How important it is that pastors excel not only in the pulpit but in counseling and shepherding the flock. How appropriate it is for a pastor to send a parishioner to a biblical counselor. When it’s appropriate for a pastor to send a parishioner to a biblical counselor. How married couples should navigate challenging seasons of marriage. Some guiding principles to improve communication in marriages. The difference between a pastor and a preacher. The biblical counselor and the spiritual disciplines. The importance of the spiritual disciplines in marriage. The importance of community in the local church for married couples. Communication problems as theological problems. The importance of married couples spending time with one another to grow in the Lord together. Jonathan Holmes serves as the pastor of counseling at Parkside Church in Ohio and is the founder and executive director of Fieldstone Counseling. He serves on the council board for the Biblical Counseling Coalition and is a frequent speaker at conferences and retreats. He graduated from The Master’s University with degrees in Biblical Counseling and History and has his M.A. from Trinity Evangelical Divinity School. Jonathan is the author of The Company We Keep: In Search of Biblical Friendship and has also written for The Gospel Coalition, Care Leader, Covenant Eyes, and Journal of Biblical Counseling. He and his wife, Jennifer, have four daughters, Ava, Riley, Ruby, and Emma. In his spare time, Jonathan enjoys traveling, reading, and gardening. You can subscribe to Equipping You in Grace via iTunes, Google Play, or your favorite podcast catcher. If you like what you’ve heard, please consider leaving a rating and share it with your friends (it takes only takes a second and will go a long way to helping other people find the show). You can also connect with me on Twitter at @davejjenkins, on Facebook or via email to share your feedback. 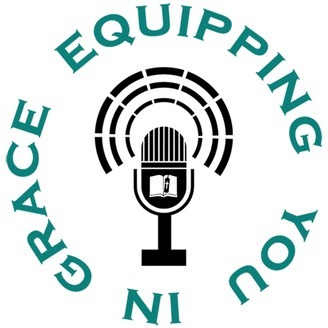 Thanks for listening to this episode of Equipping You in Grace! Guy Prentiss Waters- The Lord’s Supper as the Sign and Meal of the New Covenant.